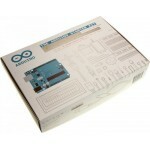 Description: The Arduino Ethernet Shield 2 allows an Arduino Board to connect to the Internet. It is based on the Wiznet W5500 Ethernet chip. The Wiznet W5500 provides a network (IP) stack capable of both TCP and UDP. It supports up to eight simultaneous socket connections. Use the Ethernet library to write sketches that connect to the Internet using the Shield. The Ethernet Shield 2 connects to an Arduino Board using long wire-wrap headers extending through the Shield. This keeps the pin layout intact and allows another Shield to be stacked on top of it. The shield also includes a reset controller, to ensure that the W5500 Ethernet module is properly reset on power-up. Previous revisions of the Shield were not compatible with the Mega and needed to be manually reset after power-up. 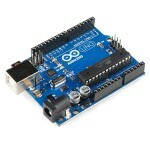 The most recent revision of the board exposes the 1.0 pinout on rev 3 of the Arduino UNO Board. 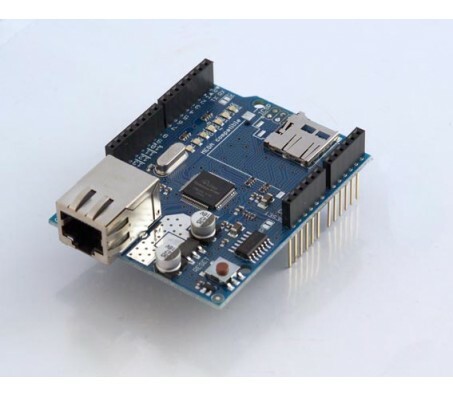 The Ethernet Shield 2 has a standard RJ-45 connection, with an integrated line transformer and Power over Ethernet enabled. This shield also features several TinkerKit input/output and communication interfaces that can be found on the topside of the board.